Only two specimen of this gun were made. The first one was called "Dora". It was used at the siege of Sebastopol in the Crimea. 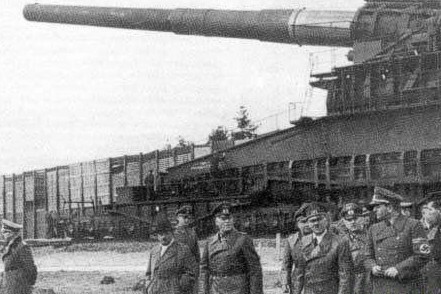 After this action it was moved to Rügenwald and during the try-out Adolf Hitler paid a visit, since "Dora" was a gift from Krupp to him. The second gun had a caliber of 52 cm and a range of fire of 135 km. There are no records of an operational deployment. 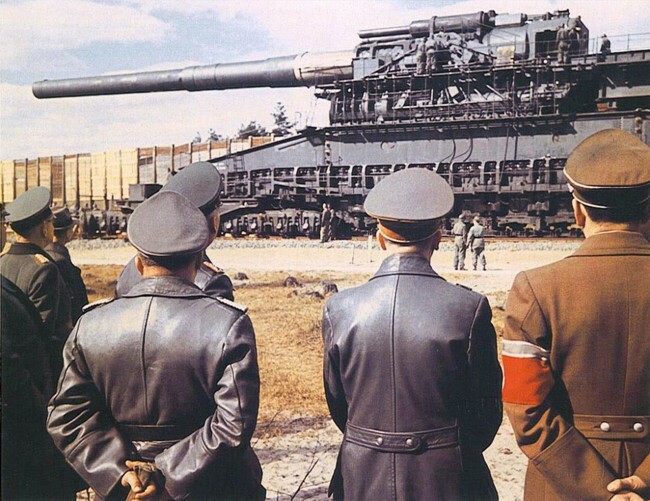 A third copy was designed with a barrel of 48 m, but destroyed during a bomb raid on the Krupp factory in Essen. These two guns had a price of 7 million Reichsmark each. Two locations at Pas de Calais were planed for Gustav guns. Herlen and Fond de la Forge however never saw these monsters. 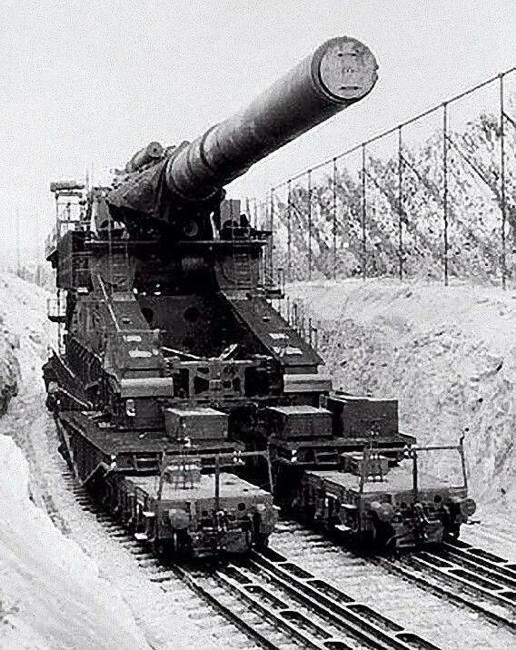 The gun was so big that it had to be transported in several parts. Once on location two parallel tracks were constructed and the gun was put together. An other one with Hitler.